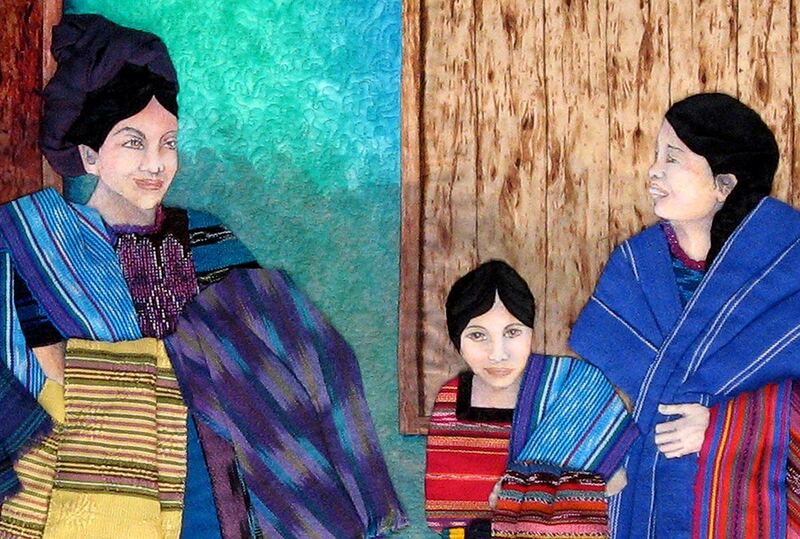 A trip to Guatemala with local quilt artist, Priscilla Bianchi, inspired me to recreate a scene from the tiny village of Santa Caterina de Atitlan, where all the women wear clothing in gorgeous shades of blue and carry their wares in their arms and on their heads. This quilt won 2nd Best Innovative Quilt in the Mancuso Brothers’ 2007 Best Quilts of the World competition and has appeared in “500 Art Quilts,” published by Lark Books. Technique: Each woman was individually constructed, rather like a paper doll, using photographs as a guide: faces were traced, then drawn on muslin using Caran d’Ache colored pencils and Sharpie pens, and finally stabilized with fixative. Woven Guatemalan fabric ‘Clothing’ was draped over their forms, then hand and machine appliquéd. The women were arranged in a group, then hand appliquéd onto a background that was painted and free-motion quilted. Shadows were added using tulle. 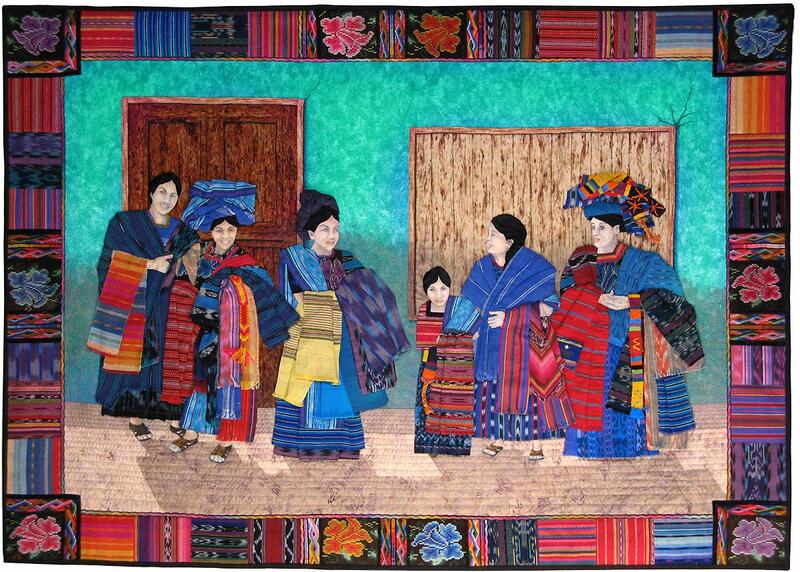 Borders are traditionally pieced using Guatemalan fabrics and hand embroidery.